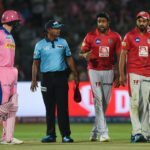 Kings XI Punjab captain Ravi Ashwin executed an unexpected run-out of Rajasthan Royals opener Jos Buttler that features as Monday’s controversial Play of the Day, writes ANITHA MADIKIZELA. 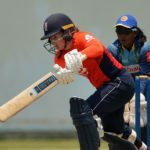 England Women’s Tammy Beaumont scored another unbeaten half-century to power her team’s win over Sri Lanka, and earns Sunday’s Play of the Day accolade, writes ANITHA MADIKIZELA. 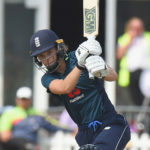 England opener Amy Jones smashed a rapid half-century to help the visitors to victory over Sri Lanka, and clinches Thursday’s Play of the Day award, writes ANITHA MADIKIZELA. 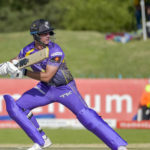 The Dolphins’ Sarel Erwee smashed an unbeaten century against the Warriors to secure his team a bonus-point victory, and earns himself Wednesday’s Play of the Day award, writes ANITHA MADIKIZELA. 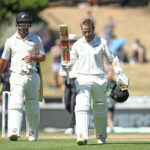 David Miller showed his skills with the bat once again in Newlands, but it’s his wicketkeeping that stole the show to earn him Tuesday’s Play of the Day award, writes ANITHA MADIKIZELA. 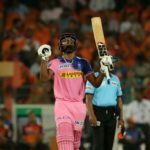 Steven Taylor made history by becoming USA’s first batsman to score a half-century in T20Is on debut to earn Friday’s Play of the Day accolade, writes ANITHA MADIKIZELA. Rivaldo Moonsamy smashed a quickfire century for Northerns in Pretoria to put them in command of their fixture against Western Province, and claims Thursday’s Play of the Day award, writes ANITHA MADIKIZELA. 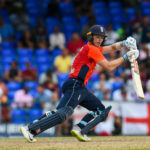 Sam Billings blitzed England to a record-breaking win at Warner Park with a brilliant half-century against West Indies that grants him Friday’s Play of the Day accolade, writes ANITHA MADIKIZELA. England Women’s Danielle Wyatt smashed an unbeaten half-century against India to help seal the T20I series for the visitors, and earns her Thursday’s Play of the Day award, writes ANITHA MADIKIZELA. Virat Kohli’s 40th century for India helped secure a tight eight-run win over Australia in Nagpur, and earns the prolific batsman Tuesday’s Play of the Day award, writes ANITHA MADIKIZELA. Opener Tammy Beaumont smashed a half-century for England Women in Guwahati to help her team to a 41-run win over India,and earns Monday’s Play of the Day award, writes ANITHA MADIKIZELA. 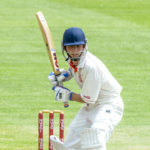 Eastern Province’s 20-year-old Joshua van Heerden recorded his maiden first-class century in just his sixth match to earn himself Thursday’s Play of the Day award, writes ANITHA MADIKIZELA.